When I first went to try these I didn't think I would like them but in the end I did. The most popular jelly bean flavor in the country is "Buttered Popcorn". Candystore.com recently did an article on jelly bean favorites and this is the number one favorite in America. They talk about the sweet and savory taste attracting lots and you either love it or don't like it and it sounds like most love it. 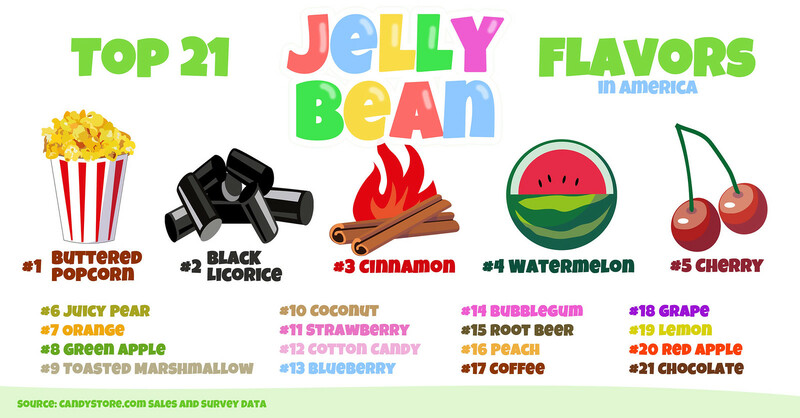 What shocked me was the #2 favorite is black licorice. That is a kind that you either love or don't like and I thought most didn't but I am wrong. Thanks candystore.com for the jelly bean fun.